StudiVZ – Germany’s Facebook clone and with about 4 million registered users largest social network – has surpassed T-Online as the most trafficed site in Germany as tracked by IVW in May and has been enjoying massive growth in traffic and page impressions during the last couple of months. Significant changes include: accounts can no longer be deleted, like in Facebook they just become deactivated; members proactively have to agree that their personal data and analysis of their clickstreams can be used for serving targeted ads on the site, but also via text message, email, IM or phone; studiVZ can share user data with third parties if allowed by law. I agree that studiVZ can share my user- and/or usage data with third parties if allowed by law and/or legal regulations or precedences. Ich willige ein, dass studiVZ Bestandsdaten und/oder Nutzungsdaten von mir an Dritte weitergibt, wenn und soweit die Übermittlung der Daten aufgrund gesetzlicher Vorschriften und/oder infolge von Gerichtsentscheidungen zulässig ist. Users can object to some of the changes regarding the usage of personal data and can opt out of getting ads delivered outside of the site it seems. The phrasing of quoted section is disturbing though. I’m no lawyer but they seem to give themselves a card blanche for doing anything they want with users’ data should they ever feel like it. We have seen an outburst of rage in the press, in blogs, from politicians and privacy advocates and concerned users alike and they just published a press release stating that they don’t sell user data (they use the present tense in their clarification), that protecting their users’ privacy is their highest good, etc. to calm things down, but there is a difference between sharing data (e.g. with law enforcing agencies) if required by law and sharing data with unspecified third parties if one way or the other allowed by law. Anyways, it will be interesting to watch what they come up with and what they get through with both legally and with their users. MyMuesli – a startup which lets you mix and buy your very own organic cereal mashup, see our coverage here – has been announced the winners of the Startup of the Year award hosted by deutsche startups. Congrats, we love them too. Based on readers’ suggestions 10 startups have been picked as nominees (Bab.la – a language portal and social dictionary, Brands4Friends – a vente privée shopping site, Guut – a woot style live shopping site, hiClip – a white label solution for video streaming, Luupo – a shopping site with a gambling twist, MyMuesli, Netmoms – a social network for moms, Platinnetz – a social network for best agers, Smava – a marketplace for peer to peer landing, verwandt – a social genealogy site) and a nominated jury picked the winner. Most jury members have been impressed by the charme of the idea and by the fact that they were able to see a real business model. Quickly noted: Three months ago Burda has invested a seven figure sum in Seed Media’s ScienceBlogs to bring this concept to Germany (see our coverage). Sooner than planned they launched scienceblogs.de yesterday kicking off with 13 blogs. 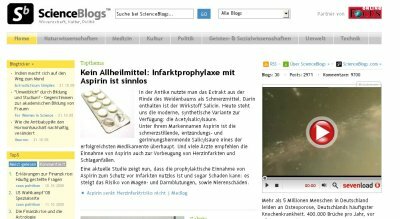 Launch partners include The History Channel, Deutsches Museum and news portal Focus Online who will syndicate the best of ScienceBlogs. In related news: Focus Online also teamed up with The Huffington Post and will feature articles of Arianna Huffington translated to German. 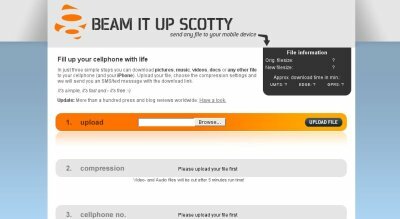 construktiv GmbH – the makers of Mister Wong, websnapr, mypictr or pixer.us – have launched Beam it up Scotty, a small but useful tool to easily send files to mobile phones. You can upload photos, videos, music and any other type of documents on the site, have it compressed and optimzed for mobile devices if you want and the service will send you a text message with a download link to your document for your cellphone to use. Beam it up Scotty if free, you can access your files for 7 days, usage is limited to 10 docs a day. Börsengeflüster [stock exchange whispering] and combines posting of short messages with digg-style voting. It is interesting, actually it’s pure genius, that they leverage twitter for posting the rumors and info snacks. Users can post their messages on the site of course, but they also can use a Twitter account. Once an account ist verified for a user direct messages sent to Twitter user sharewise will be posted on Börsengeflüster. Since Twitter can be accessed via various channels (IM, SMS, Skype, …) they inherit Twitter’s fantastic connectivity and don’t need to implement it on their own. At the same time they also promote and pay respect to Twitter. The idea of Zpeech is to let people chat or discuss any website on the website itself, but users needed to prefix any URL with zpeech.com/ for their widget to pop up – which is a bit cumbersome and the web is a big place so the chances of serendipically running into an interesting conversation on random pages are low. 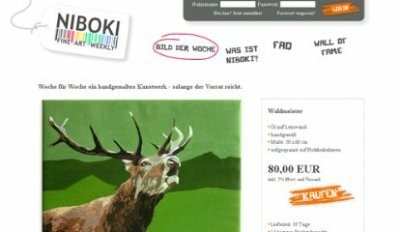 Recent eBay exits in Germany include Twitter clone dukudu which sold for €43K a few weeks back, texteln, another Twitter clone, went for 11K and if you remember this week brokr was purchased for 75K. Quickly noted: Hightech Gründerfonds, Neuhaus Partners and hannover innovation fonds have invested in antispameurope, a company which provides spam protection as managed service for private customers and businesses. All customers have to do is to edit their MX-record and antispameurope will take care of filtering out unwanted e-mails, viruses and phishing attempts and happily pass on the rest. The IT department gets a break and the employees can focus on their job. Rumor has it that Alexander Frankenberg and Holger Heinen from the Hightech Gründerfond have been testing the service looking for a solution to their spam problems in the free trial offering and instead of becoming customers became investors. The amount of the investment has not been disclosed. Back in August I compiled a list of German startups who use Twitter and also wondered why so little use is made off this little tool. Since then the number of German startups using Twitter maybe tripled, but given the plethora of amazing/insightful/overall fantastic mashups and 3rd party apps making use of the Twitter API which have been developed in the past couple of months there has not been a lot of creative misuse of Twitter happening here. Well, today the guys from shoppero [was http://en.shoppero.com/] – a platform for product reviews with revenue sharing and a strong shopping compontent launched TwitterBingo [was http://twitterbingo.com/] as a pet project for fun and to promote shoppero a bit. As the name suggests it combines Twitter and the addictive game Bingo and whenever you win you twitter “Bingo” and get a $1 dollar coupon for shoppero. (User, Tag, Group, Resource) = User has tagged Resource with Tag in a certain Group at a particular time. This extra layer shall provide an improved foundation for search and ranking strategies, for learning relations between tags or for bridging from folksonomies to ontologies. As is the site is not terribly impressive, you can create a group for a topic and add various resources (links, photos, videos) via drag and drop, move them around, tag them and search or browse the system, get some recommendations of similar tags or export the resources of a group as RDF document for further processing and they probably are going to run into serious usability issues as more groups and tags are added since they currently display all of them but as mentioned above the site is an early prototype. If you want to take a sneek peak they also have created a 5 minute screencast of the service. Members of the GroupMe! team are Fabian Abel, Mischa Frank, Nicola Henze, Daniel Krause, Daniel Plappert and Patrick Siehndel. 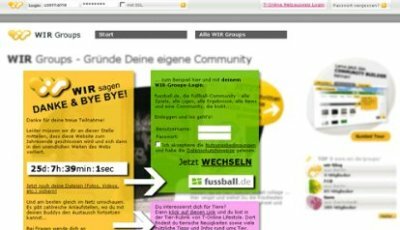 T-Online – Germany’s largest web portal – is shutting down two of its properties at the end of the year. Both T-Community, a kind of social network with blogs, photo and video sharing, homepages and the like, and WIR Groups, a service to build your own community, prominently display a final countdown on their homepages, thank their users for stopping by, tell them to back up their data and ask them to join other services from T-Online, maybe they keep these going longer. This was not the first experiment with user-driven / social elements of T-Online which failed and just was dumped. In 2005 they also tried to host blogs of their users in cooperation with Sixapart and discontinued the service after only a few month in December erasing lot of energy invested by trustful users. In 2006 they started T-Community as more promising undertake. To their credit they are at least trying, see also the launch of their Beta Portal which has set out to become the startgate 2.0 for their customers featuring new services. Bonn based mixxt – a site which provides the basic building blocks to run your own community / social network – was publicly released today. Mixxt actually has been around for a few months now, German barcamps (e.g. barcamp Berlin or Cologne) have been organised via mixxt communities already, but until today a golden beta token was required to create your own network. 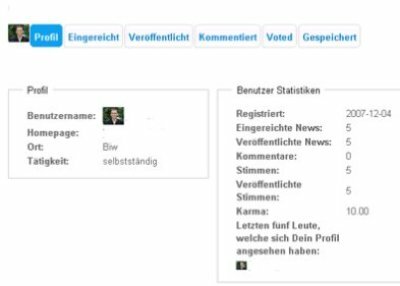 Once you have created a new network you pick a (sub)domain name and a hopefully significant name for your network, choose the language (currently English or German), add a description and tags. Then you assemble it by adding the features you want via drag and drop. Available modules are a forum, a wiki, events, list of members, free text and you can pull any feed. If you are a designer you then can go nuts with the design, or if you are less ambitious the provided templates should do fine. Privacy or visibility settings can be specified for pretty much every aspect of the network. Existing users can join and contribute to any (other mixxt) community in a matter of seconds. Owners can run their communities the way they want to but at the same time enjoy stronger network-effects and more effective marketing than existing communities provide. We have seen quite a few similar services in Germany launching this year – mypeopls (see our coverage), six groups (see), Holtzbrinck backed groops (see) or MyFaible which just launched too – so this is a competitive environment and of course there is 800 pound gorilla Ning in the DIY networking space. But there is something about mixxt I really like. The site has a 37signal-esk quality, not so much design wise, but in the way they succeeded in opinionatedly focusing on the essentials and stripping out the rest. If you are serious about starting your own community it probably makes sense to evaluate them all and use the service which clicks with you or your needs. And if you are fearless you are invited to join the Couch Betato community, an informal marketplace for beta invites. mixxt was founded by Philipp Ellenbeck, Daniel Peters, Christian Stein and Oliver Ueberholz. A second round of seed financing has been closed but no details on the investors have been disclosed yet. Lots of Woot-style sites have popped up in Germany lately. ABeDi is an interesting permutation which sells travels. Each day a new all-inclusive offering is published which is bookable for the next three days or until sold out. The service is run by travel agency Nix-wie-weg which according to Exciting Commerce is one of Germany’s first online travel agency who are around since 1996. While the design of the site does not mimic the webdesign of 1996, they resisted the temptation to incorporate every contemporary design element, and they obviously had a lot of fun crafting it. ABeDi is short for Amt zur Bewilligung von Dienstreisen which roughly translates to bureau for granting official journeys and this beaurocratic meme runs consistently throughout the site, they even make playfully use of it in their legal statement. Social Web Guide pagekick opened its doors today to the interested public. The site is basically a reinterpretation of old school web directories under the conditions of the read/write web. We see a lot of elements inspired by digg – members can add stories, vote for stories, comment stories, bury stories and the profile of members lists the contributed stories, stories which have been published, stories the user has voted for or commented upon etc. – but the dynamics are less free floating and self-organisational and rather embedded in a more hierarchical / editorial environment with a portal like look and feel. User submitted stories are encouraged to be well written, at least 3 sentences long (autch!) and seem to be moderated before they are published. There are four main sections: news (news articles and blog posts), blogging (blogs), portals (various websites and services) and tips and tricks (blog posts and lots of editorial content.) The site also provides a second layer of organisation based on categories (cars, finances, computer, entertainment, gadgets, etc.) and of course there are tags. The main page prominently displays some editor’s picks, lists the most popular stories of the main sections, the overall top 25 and the most recent entries. Any section will display various subsections (e.g. blogs will split up in tech-blogs, law-blogs, cat-blogs) and offers top 10 and most recent lists. This is all fine and pagekick is not bad looking, but I wonder whom the site is for and who benefits from it. I doubt that the digg crowd will migrate over because it doesn’t add any value for them and probably is less fun. I also don’t think the blogs and portal listings will offer a lot of news value to anyone who already is interested in any topic and knows the most popular sites or blogs. Even now we already see the same old same old propagated to the top of the lists. Since pagekick is more polished it might be useful for less web savvy users who don’t know about existing alternatives or to find out about new topics since noise tends to get filtered out, but I have a hard time imagining a user group which proactively drives a momentum and at the same time profits from the site. pagekick was developed by Sebastian Fiebiger und Gabriel Dobersch, they are based in Berlin. Todays launch of Niboki marks an interesting twist between art, outsourcing and social commerce. The site – which has been developed by Leipzig based mygall, a platform for contemporary artists to sell reprints of their art, adopts the Woot model for selling mass produced oil paintings. The site sells one painting a week in limited edition at a very cheap price. The first painting Waldmeister for instance, which depicts an intriguing belling deer, can be purchased for €80. Currently they are shipping within Germany only. In a small manufactory in the south-east up to ten fully qualified young artists and graduates of art schools paint our motives in small series. This enables us to offer high quality paintings at a very reasonable price. I’m no art historian, but our notion of art has to be redefined as societies and technologies evolve. Just think about Walter Benjamin’s essay from 1936 The Work of Art in the Age of Mechanical Reproduction which reflects the impact of technical reproducibility on art or Andy Warhol’s factory where his assitants produced the works but yet they inherited his ingenuity. While Niboki is selling art the way they do it might become the work of art itself.